Jan Schlaudraff made his professional breakthrough with Alemannia Aachen, where his sterling displays earned him a move to Bayern Munich. However, he failed to hold down a regular starting place in Bavaria and a man regarded as one of Germany's most naturally gifted strikers joined Hannover 96, where he has since flourished. Borussia Mönchengladbach were the first club to spot Schlaudraff's talents, signing him on professional terms at the age of 19. However, a rare infection restricted his time with the Foals to largely receiving treatment than and he was loaned to Aachen in a bid to gain some much-needed match-practice. He impressed enough at the Tivoli to earn a full-time move and his eleven goals helped them to promotion to the Bundesliga. Yet despite Schlaudraff's eight goals in his debut top flight campaign, Aachen went straight back down again. Nevertheless, one goal was enough to change his career - his strike contributed to Bayern Munich's elimination from the DFB-Cup, and just a few weeks later, the German record champions snapped him up. Injury also blighted his time with Bayern and he was sold on to Hannover after making just eight appearances in the first team. A personality issue very nearly ended the forward's career with the Reds before it had properly started. Club president Martin Kind declared that Schlaudraff would "never play for us again" after taking exception to his attitude to training, only to revise that within a year after witnessing Schaludraff's displays and labelling him a "crucial player" for the club. Hannover coach Mirko Slomka played a key role in that change with a show of faith, deploying Schlaudraff in a freer role behind the strikers. 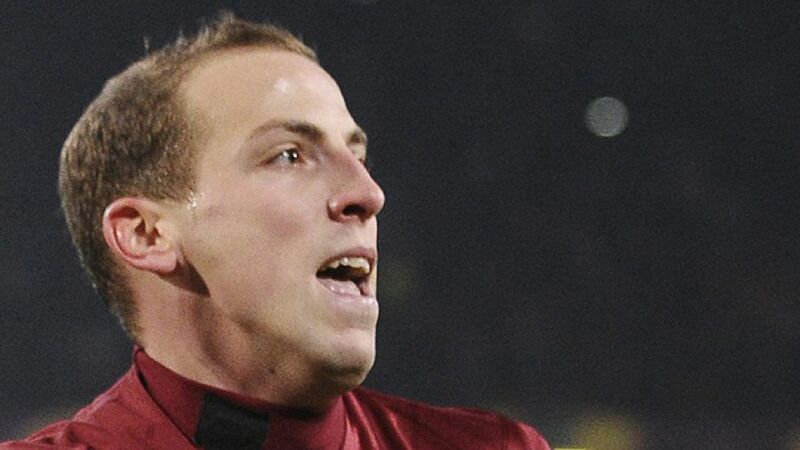 Such is the level of appreciation for his skills that Hannover rewarded him with a contract extension until 2015.